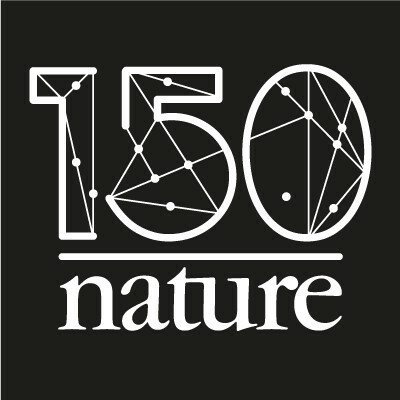 In the 150 years since the first issue was published, Nature has evolved alongside the research community it serves. We hope to continue to grow in the years to come. In 1869, the US state of Wyoming passed the world’s first law that enshrined women’s right to vote. Leo Tolstoy published the final volumes of his epic novel War and Peace and the Suez Canal in Egypt was opened. Mahatma Gandhi was born. And the University of Oxford competed against Harvard University in the first international boat race, held on London’s River Thames. The world was a different place in those days, but, 150 years later, some things remain the same. War and Peace continues to be enjoyed by many, and Wyoming policymakers proved to be welcome pioneers of a much broader and more influential cause. Another constant is the journal you are currently reading. 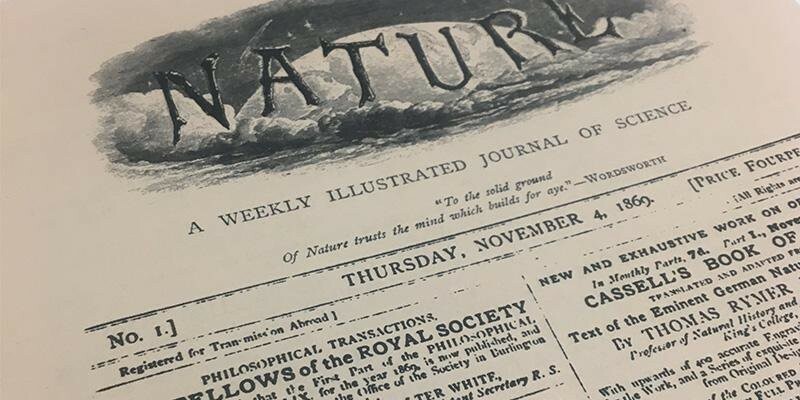 For 1869 also saw the publication of the first issue of Nature. That makes this year our sesquicentennial. And that’s a cause for celebration, reflection and gratitude — to the global research community and its evolving needs that have helped to shape and guide us, down through the decades, into what we are today. Nature wasn’t the first and isn’t the oldest scientific journal. But celebrate we shall — mostly in November, which will mark 150 years since the official start of our weekly issue. To look at the history of Nature is to trace how science, the political context within which it operates, and its communication have evolved over the past 150 years. And so, during the course of the year, we will gradually examine the progress of scientific endeavour across many disciplines, and consider how science’s role in broader society has changed. We will explore the legacy of some of the most influential research papers we have published over the years. And we will delve into our archive for the most interesting of our historical content and try to put it into a broader context. We also intend to share the anniversary with readers: over the course of the year we will be inviting you to contribute your thoughts on the future of research and its dissemination. Anniversaries are first and foremost an opportunity to reflect. Looking back on the science of 1869, we discover that it was the year when Friedrich Miescher isolated what he called nuclein (now known as nucleic acids), from the nuclei of white blood cells. That same year, Paul Langerhans first described the pancreatic islets, Dmitri Mendeleev first presented the periodic table and Alfred Russel Wallace published The Malay Archipelago, in which he described the division of fauna and flora along what is now known as the Wallace line. The name of our journal has remained the same throughout the past century and a half. But much of what lies between the covers has changed — with the times, with evolving science and with publishing technology. In 1869, scientific journals served mainly to record presentations made at meetings of learned societies or to reprint valuable papers published elsewhere, perhaps in another language. At the end of the nineteenth century, the learned societies, associations and institutions were more prominent than journals in shaping the progress of science. In fact, it was not until the Second World War that scientific journals became the main forum for disseminating primary research findings. Despite Lockyer’s intentions, Nature refocused on serving the professional research community within just a few years of its launch, when early-career researchers of the time realized they could use the journal and its rapid weekly publication cycle to their own advantage — to advance scientific discourse in the community and, eventually, to publish their original findings. At the time of Nature’s launch, the predominant mode of communication between scientists was through personal letters, and a formal way of disseminating work involved publishing monographs. One prominent example from the era immediately springs to mind — Charles Darwin’s On the Origin of Species, which was published in 1859. Nature is known for its original research as well as its news journalism and commentary. Today this is spread across different formats, but the goal of the coverage remains the same: to help readers make sense of the world of science; to help them in their work and in their careers; and to help them to assess the position of science in the context of society. As such, Nature has traditionally weighed in on broader political and societal issues — in editorials and elsewhere. And we will continue to do so. Nature in its early days focused predominantly on science done in Britain. As today’s research is a global endeavour, so is our focus, both in the original research we publish and in our news coverage. The global nature of science today necessarily means that it has become more collaborative. And, as we have gone from publishing papers with one or just a few authors to papers authored by large consortia, we have worked to acknowledge the contributions of individual authors. Looking forwards is also an important aspect of any anniversary celebration. We will do so throughout the year, in part for our own benefit, to consider how we can best continue to evolve with the research community and its needs, striving to build on our efforts to support reproducibility, diversity and social justice in research. We hope and expect 2019 to be another significant year in science. And we look forward to sharing it with you.